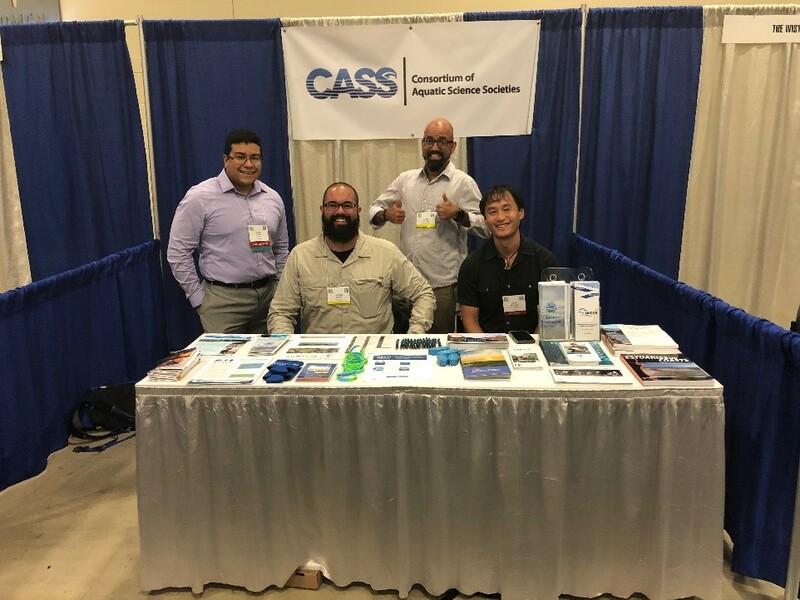 CERF, in collaboration with the Consortium of Aquatic Science Societies (CASS), hosts a booth at the annual "National Diversity in STEM Conference," hosted by the Society for Advancement of Chicanos/Hispanics and Native Americans in Science (SACNAS). 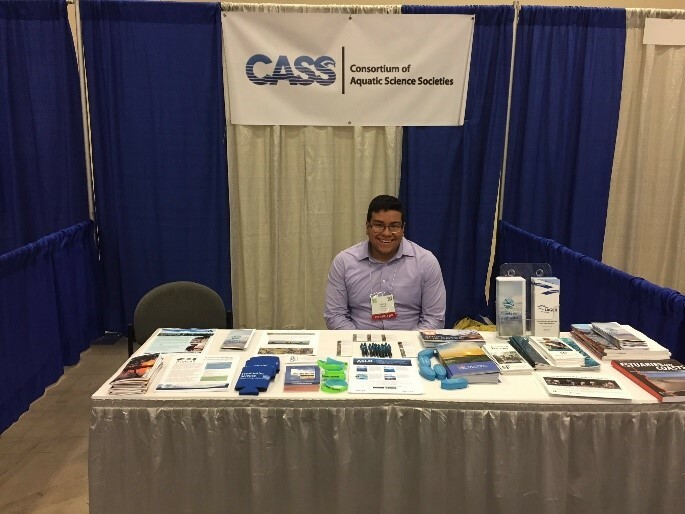 CERF’s attendance at SACNAS and, specifically, the exhibition booth, allows us to inform many underrepresented and underserved minority students in aquatic sciences about CERF and Rising TIDES. On the first day of SACNAS, those of us assigned to manage the CASS booth devised a plan to attract students to our booth by posting the CASS bookmark and booth location next to relevant symposium boards. This strategy paid dividends as many students came to visit us wondering who we were and how they could get more involved. During their visits, I had the opportunity to engage with students and inform them of the many opportunities that CERF has for students of all stages. I made it a point to ask them what brought them to SACNAS year after year and if they would consider coming to our next CERF meeting. The majority of the students I interacted with at SACNAS hadn’t heard of CERF, but were eager to see how they could get involved upon hearing of the opportunities available for professional and student development, the Rising TIDES program, and CERF’s dedication to successful mentorship. I was able to speak firsthand of my experience as a Rising TIDES recipient and first-time attendee at the CERF 2017 meeting. The Rising TIDES program provided an opportunity for me to interact with other students and professors that would help shape my dissertation and my involvement with this professional society. My hope is that students are able to find a home within the CERF community that not only provides an opportunity for intellectual growth but personal growth as well. CERF is a proud collaborator on the Supporting Emerging Aquatic Scientists (SEAS) Your Tomorrow project led by Dr. Kristin Wilson Grimes at the University of the Virgin Islands. SEAS Your Tomorrow is funded by the NSF INCLUDES Program, which provides two years of support to projects that describe new ideas, create targeted initiatives, and forge new models that will improve access to STEM for underserved populations. SEAS Your Tomorrow provides U.S. Virgin Islands middle school, high school, early undergraduate, and graduate students with the support and unique opportunities to pursue their interests in the ocean sciences. The project builds partnerships between universities, government agencies, non-profit organizations, local businesses, and professional societies to maximize the impact of targeted activities. For more information about SEAS Your Tomorrow, please visit http://www.seasyourtomorrow.org/ or contact Dr. Kristin Wilson Grimes at [email protected].